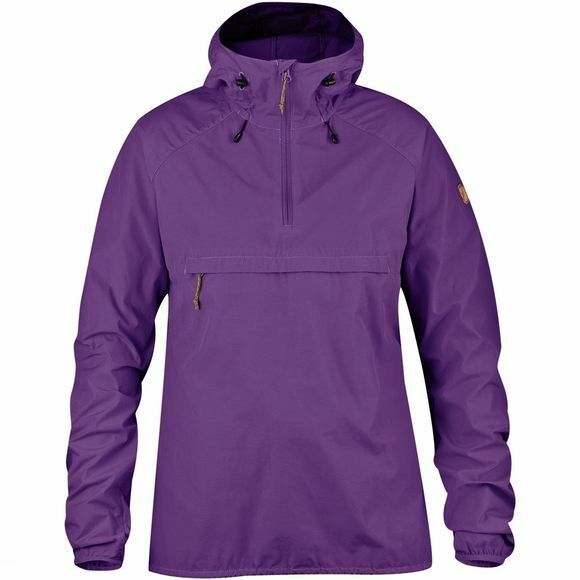 The Women's High Coast Wind Anorak from Fjällräven is a lightweight and versatile anorak which is perfect for long distance trekking as well as day trips in the outdoors. It is ideal for blocking out cold winds while a light wax coating will fend off quick and light showers. The hood is snug fitting and can be adjusted while the zip at the neck makes it easy to get on and off. A large pocket on the front of the jacket offers excellent storage and doubles as a stuff sack for the whole thing. Thumb holes at the cuffs and a drawstring adjustment at the hem help you get the perfect fit for every activity.